The Bharatha Lakshman Premachandra murder trial came to a sensational conclusion last week with the five accused, including former parliamentarian Duminda Silva being sentenced to death. Its implications will reverberate within political circles for months to come, even as Silva plans to appeal the judgment. The Colombo High Court imposed the death sentences on Silva and four others who were found guilty of killing four persons including Bharatha Lakshman Premachandra. The other accused, Anura Thusara de Mel, Chaminda Ravi Jayanath, Janaka Bandara Galagoda and Sarath Bandara were also sentenced to death by the panel of judges. Bharatha Lakshman Premachandra was killed in Kolonnawa on October 8, 2011 during a shooting incident while campaigning for local government elections. The judgement was given by a special panel of High Court Judges including Shiran Gunaratne, Padmini Ranawaka and M.C.B.S. Moraes. The panel was divided on the judgement: the chairman of the panel Shiran Gunaratne acquitted all suspects on the grounds that the evidence was contradictory while the other two judges decided to impose death sentences on the convicts. Justices Ranawaka and Moraes noted that the provocative behaviour of Silva led to the incident which culminated in Premachandra’s death. They observed that Silva had provided leadership to the unruly behaviour of the mob and therefore he should be held responsible for the whole incident. They also noted that Silva was under the influence of liquor at the time of the incident, though Premachandra was not. Justice Gunaratne in his dissenting verdict observed that the evidence presented by investigating officers were contradictory in nature and that therefore, the benefit of the doubt should go to the accused because there was no substantial evidence against them. Whether this will mark the end of Duminda Silva’s political career is a moot point. At present it has been put on hold because Silva is at Welikada prison and his lawyers are busy planning his appeal. Few people now remember that Arumadura Lawrence Romelo Duminda Silva, better known as R. Duminda Silva started his political journey from the United National Party (UNP). That was in 2004, when he contested the Western Provincial Council elections and won. With his boyish good looks and vast financial resources at his disposal, he was able to capture the imagination of the masses easily. 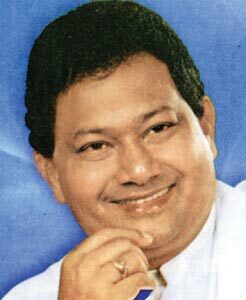 Silva defected from the United National Party to the United People’s Freedom Alliance (UPFA) in November 2007. At the time, the UNP accused him of crossing over to the UPFA to protect his family’s business interests. Silva’s brother Raynor Silva owns the Asia Broadcasting Corporation (ABC) Limited. At the time, the UNP’s then General Secretary Tissa Attanayake went on record saying that Silva’s crossover was a move to get the license of Asia Broadcasting Corporation- which had then been cancelled- renewed. ABC Limited had lost its broadcasting licence after the government accused it of transmitting false security information. Silva was to hit the headlines again in July 2008. That was when popular film actress Anarkali Akarsha accused him of threatening to kill her and her mother if she refused to marry him. The death threat allegation came following an incident at Elibank Road in Colombo where it was alleged that an attempt was made to abduct the actress when she was in the company of her mother. Silva has denied these accusations. He alleges that the former Miss Sri Lanka had defrauded him of five million rupees and claimed that his dispute with her was not to force a marriage registration but to recover his money. Silva was re-elected to the Western Provincial Council in April 2009 but he had set his sights higher: he contested the 2010 general election from the UPFA. He ran a high profile campaign and there was speculation that Silva was aiming to be the parliamentarian with the highest number of preference votes in the Colombo district. He nearly achieved that: only Wimal Weerawansa with 280,000 preference votes and Ranil Wickremesinghe with 230,000 preference votes polled more than Silva who polled 146,000 preference votes in his first bid for a parliamentary seat. With his elevation to Parliament, Silva became close to the centres of power. He was appointed ‘monitoring MP’ for the Ministry of Defence. Although President Mahinda Rajapaksa was the Minister of Defence, for all practical purposes the affairs of the Ministry were run by Defence Secretary Gotabhaya Rajapaksa and Silva’s appointment indicated that he has become a close confidante of the Defence Secretary. It is ironical that Silva’s downfall was due to Premachandra’s killing because Premachandra was also campaigning for the same party, the UPFA, at the October 2011 local government elections. Premachandra was mentored in his politics by Vijaya Kumaratunga and was a pioneer member of the Sri Lanka Mahajana Pakshaya. Later he returned to the Sri Lanka Freedom Party (SLFP) and was nursing the Kolonnawa electorate for the party. Following Premachandra’s killing, his daughter Hirunika emerged into the limelight, making frequent media appearances outside the courthouse, pleading for justice for her father. A former model with glamorous good looks, Hirunika Premachandra first sought the intervention of then President Mahinda Rajapaksa to expedite the trial against Silva. That did not eventuate. 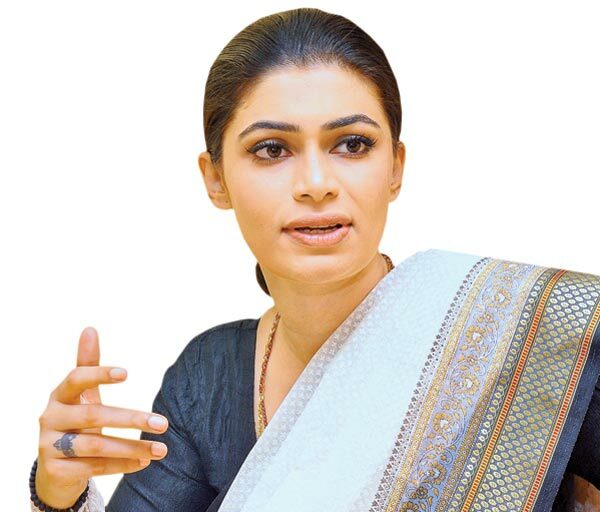 Therefore, when Maithripala Sirisena stepped out of Rajapaksa’s Cabinet and offered himself as the ‘common’ candidate for the opposition, Hirunika Premachandra joined him. She campaigned against Rajapaksa on the theme of injustice and impunity reigning supreme during the Rajapaksa regime. The Premachandra murder trial was always mired in controversy. Silva took up the defence that he too was seriously injured in the incident and had to be flown to Singapore for treatment. Hirunika Premachandra has cast doubts on the veracity of these claims and has asked that the neurosurgeon who supported these claims be investigated. Silva’s statement during the trial that he ‘cannot remember’ the events related to the incident became a catchphrase in local political parlance. The verdict pronouncing Silva guilty, albeit by a majority verdict, will contribute towards strengthening the perception that Sri Lanka’s judiciary has regained some of the independence and integrity it lost during the Rajapaksa era. However, Silva will be appealing the verdict and there is no doubt the facts related to the murder will continue to be analysed in forensic detail in the years to come. Silva’s detractors should not hasten to bring down the curtain on his political life. It will be recalled that Susantha Punchinilame, a UNP parliamentarian from the Ratnapura district was charged with the murder of fellow Ratnapura district SLFP parliamentarian Nalanda Ellawala at Kuruwita in February 1997 in another case of street violence. Later Punchinilame was acquitted of all charges by the Ratnapura High Court and went on to become a deputy minister and a minister in a government led not by the UNP but by the SLFP! Hirunika Premachandra stated after the verdict that she believed justice had been done at long last. She also said she derived no pleasure from seeing someone sentenced to death. Ms. Premachandra has her own legal battles to contend with, having being charged with aiding the abduction of a youth. How that will play out in the halls of justice will be watched eagerly for it will reveal exactly how independent the Sri Lankan judiciary has become. The public may have seen the last of Duminda Silva for sometime as he does time behind bars, but it certainly won’t be the last we hear of him. It can rest assured that political sagas surrounding both Silva and Hirunika Premachandra will continue for many months to come.